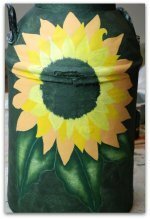 Painted gourd – how to paint on gourds for fun or profit! 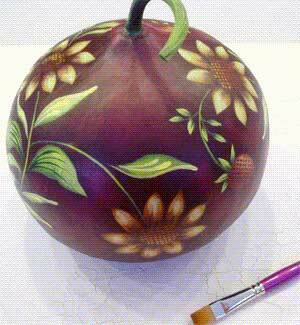 A painted gourd has a surface that will accept just about any art medium!... though, we prefer acrylics. We have no-nonsense advice and tips to get you started right way! The beautiful gourd on the left was done by adapting a design created by Rosemary West. It looks gourd-geous sitting on a shelf or as part of an autumn table center piece. Dried gourds come in all shapes and sizes and can be both functional and decorative. We've seen gourd bowls, purses, quilts, carvings, drums, stringed instruments… it boggles the mind. 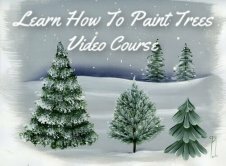 You’ll appreciate this bit of info… gourds used indoors do not need to be primed or sealed prior to painting. Well Hallelujah and woo hoo!!! One of the trickier things to do though, is to transfer a design. The roundness of gourds makes it difficult to trace the pattern on accurately. Not only that, but every gourd is different. So even the pattern you choose will need to be adjusted. Do not despair. You want to paint your gourd… and that is what you’ll get. The best advice is for you to loosen up a little. Don’t worry about perfection. We suggest you decide whether your gourd work of art will hang or sit on a flat surface. If you end up with a horizon line painted at a 45% angle…that won’t look very good…either hanging or on a table! 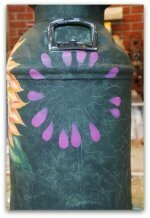 You have two options for transferring your pattern to create a painted gourd. A. Trace the pattern onto plastic food wrap using a fine permanent pen. You need a piece that’ll fit all the way around the gourd. When you’re tracing the pattern, just outline the main elements of the design… don’t bother with details. Next, wrap the plastic wrap around the gourd. Slide the graphite paper under the wrap. 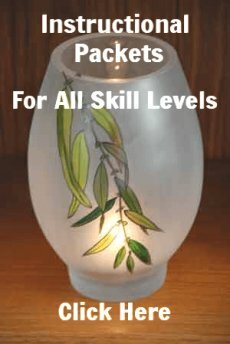 Then trace out the pattern using a pencil and light pressure. Details can be done free hand, or you could transfer the details onto tracing paper. Then cut the detail sections to fit over your main design and transfer the remaining pattern. B. Another method is to trace the pattern onto poster board. Then cut out the sections to make templates. Let’s say the design is a sailboat… cut out the sails, and the boat and the anchor. Then just lay your templates where you want and outline them lightly in pencil. Details like portholes, or sea birds can be free handed. We love painted gourds! Either the ones we paint ourselves, or the ones we collect from other artists. 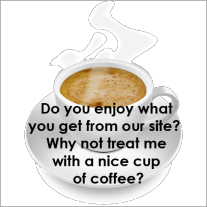 We are always happy to hear from you, so feel free to drop us a line by contacting us here. 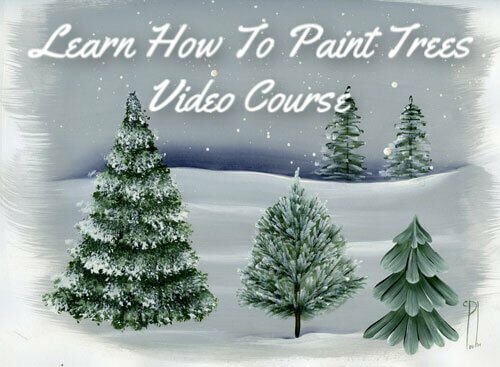 Looking for more great information on decorative painting? Let's leave Painted Gourd and go to Gourd Painting.